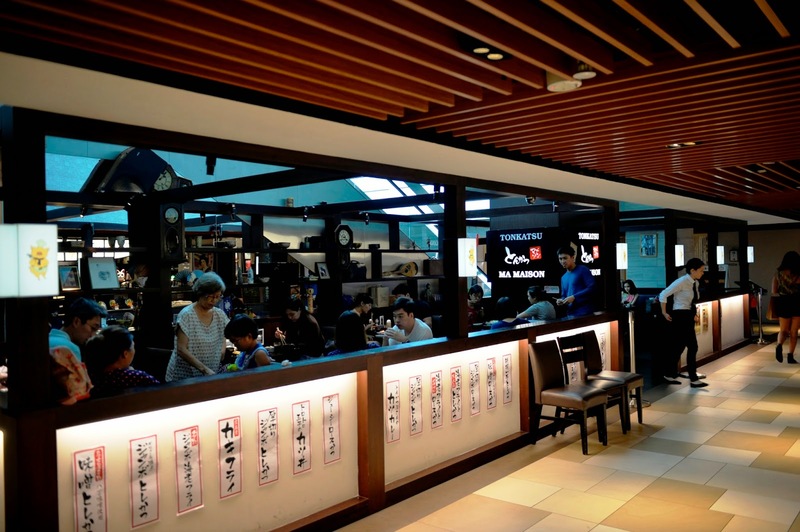 [SG] Tonkatsu by Ma Maison | the best Tonkatsu in town? After a full day of shopping around town, we decided to have an early dinner to beat the queue. My sudden and random craving for some sinful deep fried food made us travel to Tonkatsu by Ma Maison at Mandarin Gallery. Having walked passed the restaurant on several occasions and appalled by the queue mostly, we landed ourselves a table quite easily this time round! 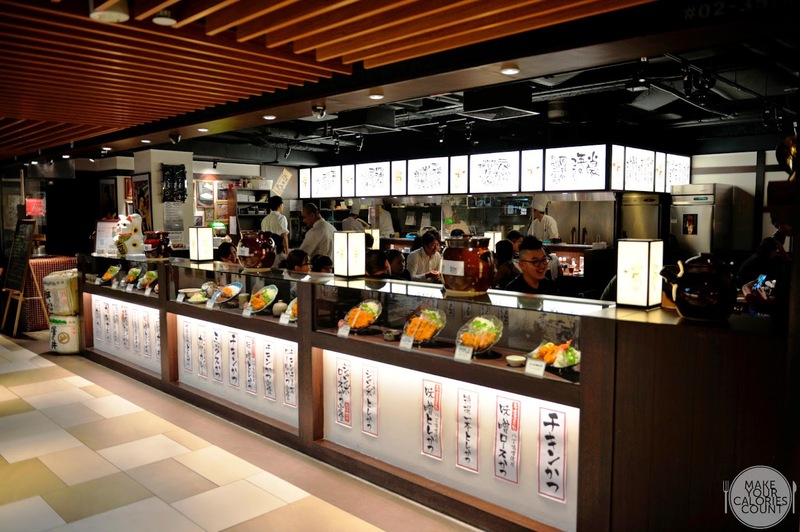 To name a restaurant after a particular dish and to survive the rents along Orchard Road, there must be something that the chefs are doing right at Tonkatsu. 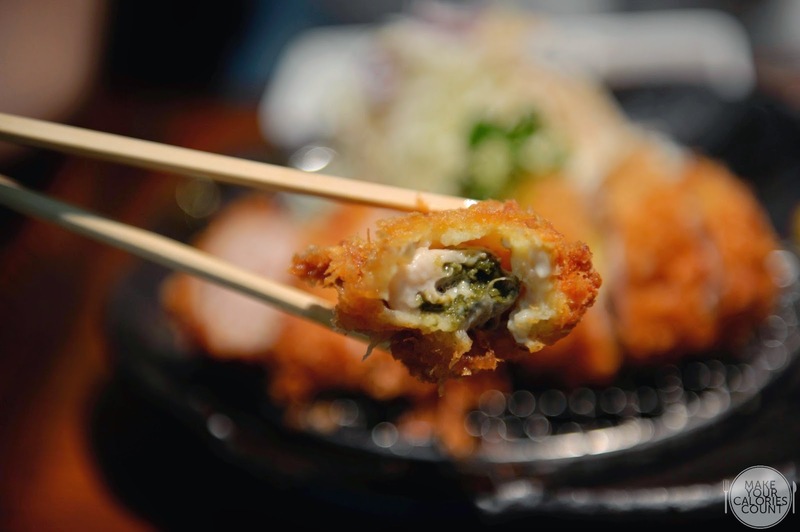 Most foodies would be familiar with this breaded, deep-fried pork cutlet dish which originated in Japan since the 19th century though what many would not realise is that the dish started out with beef and the pork version was later invented in Japan in 1899 before the dish got commercialised in the 1930s. While I asked for the house's recommendations, the lady had the cheese millefeuille katsu, so the next question is, how good are they? Next up, we were each served a portion of shredded and diced radish and apparently, there is a saying 'shredded radish is enough for own life without doctor'! 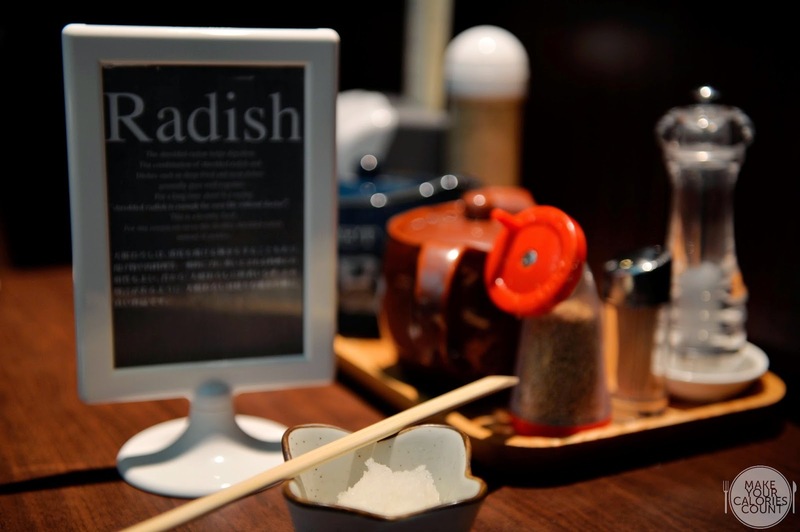 With its health benefits, Tonkatsu serves radish instead of the usual pickles, which goes well with deep-fried dishes anyway! 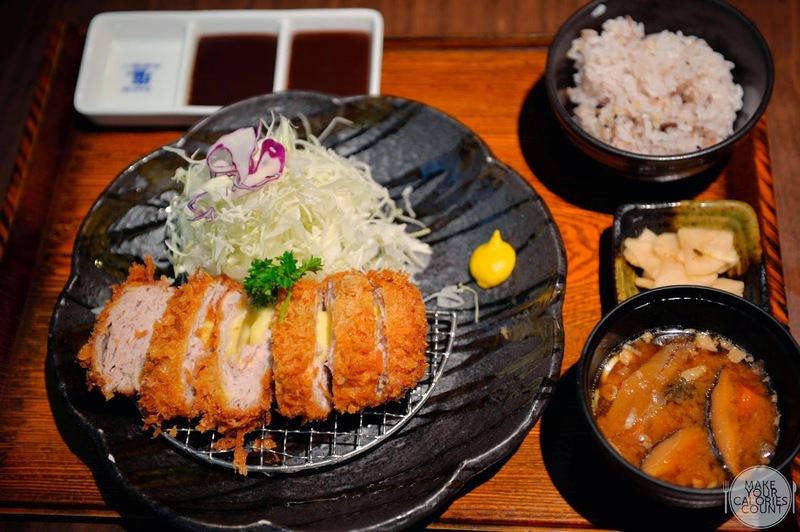 While tonkatsu commonly refers to breaded deep-fried pork cutlet, there are actually two main types, hire (fillet) and rosu (loin) with the latter being the juicier cut. The mameton set has both the pork fillet and loin in addition to a prawn though the portion size was halved. There was no denial that the golden brown crispy batter was the highlight at the table as it juxtaposed the succulence of the pork loin. The juiciness of the underlying pockets of fats almost burst as we munch it gluttonously! While the pork fillet has a firmer texture, it was nonetheless tender on the inside. For the sets, we could have the option to choose between brown or white rice and I went for the latter. Also, my set had an additional portion of warm soba noodles though it was slightly too soft for my liking as I would generally prefer my noodles to be al dente. A worthy shout out was the finely sliced cabbage which went perfectly well with the sesame dressing available at each table. 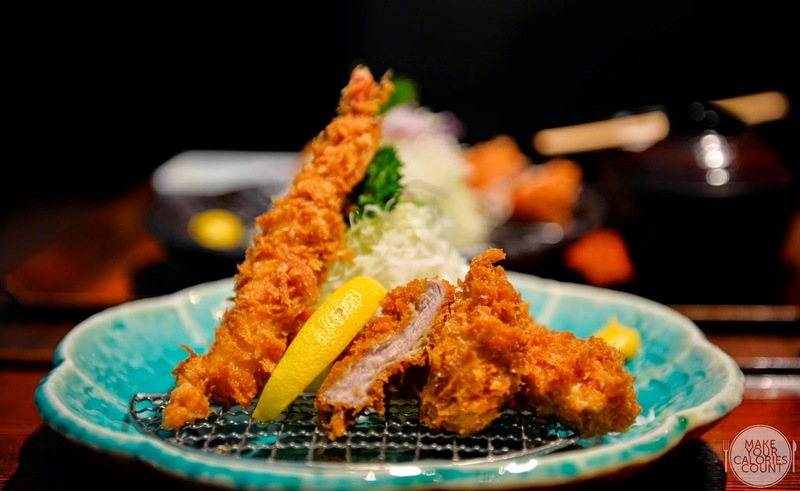 Fresh, crisp and refreshing, it is surely a perfect companion to the heaty tonkatsu! 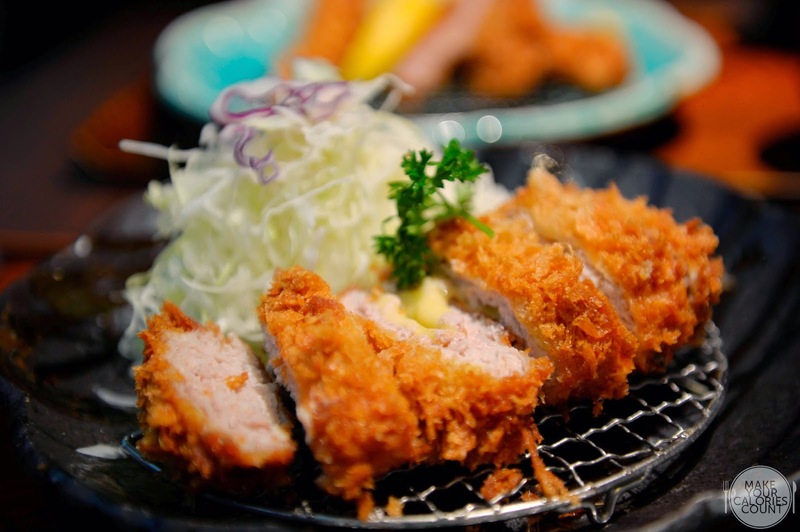 With a penchant for cheese, it was hard to resist ordering the millefeuille katsu, which had folded layers of the pork. In comparison to the pork fillet and loin cuts, this was slightly stiffer though the gorgeous batter more than compensated. 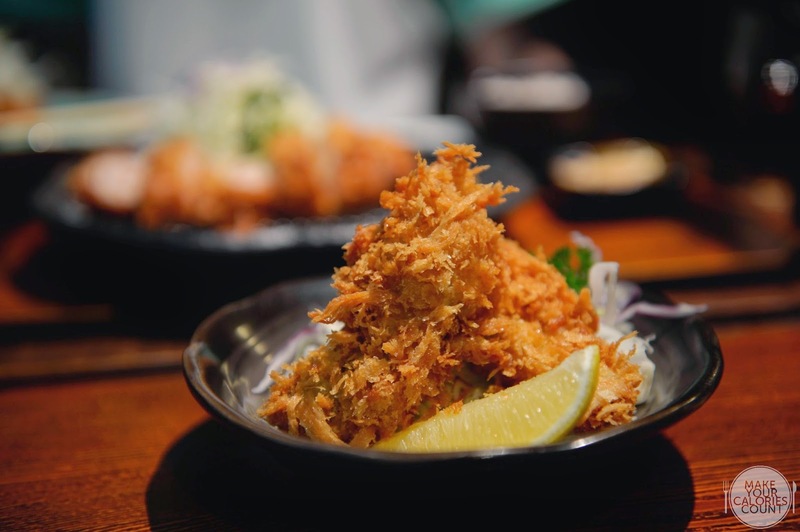 At Tonkatsu, they use kamado, a traditional Japanese wood or charcoal fired earthen vessel as their rice cooker so you could taste the difference though imminently, the fragrance would be too distinct to miss! Both our sets came with miso soups which was rich in flavours certainly delivered a strong punch of unami-ness. The brown rice which we chose for this set was a tad more raw, not in a derogatory manner but rather felt a little too clean and healthy for comfort considering how sinful tonkatsu is! Before we handed over the menu to our server, I caught a glimpse of the deep-fried oysters which are available as individual ala carte orders so we decided to order two to try. This turned out to be the other highlight of the meal as the meaty oyster was nothing but a joy to savour! Gently coated by the crispy golden delicious batter, you could almost taste the freshness of the oyster upon the first bite. Overall, service was immaculate as the young server attending to our table was attentive to our requests and very polite when conversing. The wait for the food was quite an issue as the restaurant was half empty when we visited but we waited some 15 - 20 minutes before food was first served. 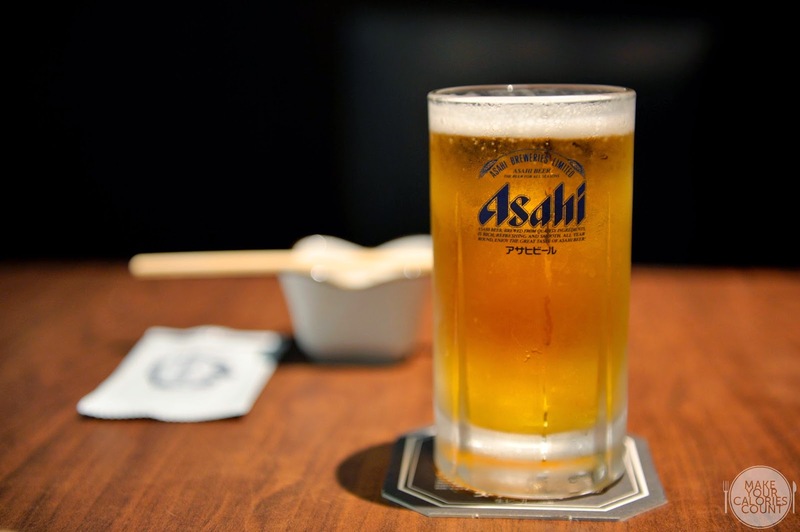 We were however kept entertained by our drinks but for our next visit or yours for that matter, it would be recommended to order some light bites while waiting for your prized tonkatsu! [SG] Wine Fiesta 2015 | Harmony of wine with Singapore food and music!